Over the last eighteen years Highrise have refined their system to what it is today, and major commercial builders in Victoria welcomed this innovative design, and it has now become widely used across all of Melbourne. Builders as reputable as Brookfield Multiplex, Bovis Lendlease, L.U Simon, Grocon, Equiset, Hamilton Marino, Walton, Kane and the Hacer Group along with many other major builders regularly use our services. Highrise is also expanding our services heavily into the entertainment industry and have now provided various works at events as exclusive as, the Australian Open Tennis, The Presidents Cup, The Melbourne Cup Carnival, The Australian Grand Prix, Gold Coast Marathon and many other major functions and corporate events. Five years ago a major Brisbane builder, desperate for a gantry system that could support scaffolding, and site accommodation, sought our services, and engaged us to supply a large gantry on their project in the Brisbane CBD. We answered their request, and transported the gantries from Melbourne to Brisbane where our tradesmen then erected the gantries around two elevations of this major development, and there it remained for two years. So pleased was the builder, they then had another gantry supplied only months later on another major project. Naturally once our gantry was seen by others, the phones began to ring, and we saw the potential of our product for use here in Brisbane, thus we decided to stay and set up a storage facility about two years ago. Since then we have been continually active in erecting and dismantling our gantries for builders in and around Brisbane and the Gold Coast. Our clients here in Qld include Grocon, Laing O’Rourke, Hutchinson Builders, Glenzeil, Thiess and Matrix just to name a few. So you can see that our system is widely used in the construction industry, and our web site will give you more insight if needed, as to our company’s credentials. Hello, Paul Newman is my name. 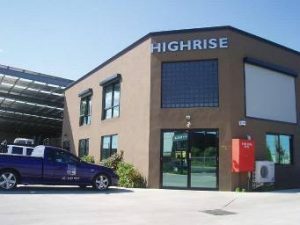 I am the Managing Director of Highrise Building Services Pty Ltd, which I started in 1990. I have an extensive and diverse background in the Building Industry, starting out as a scaffolder with Boral in 1974, where I worked for many years. I then worked for various other companies as a Scaffolder / Rigger throughout Melbourne on many large building sites, such as the Rialto, Collins Place, The Melbourne Arts Centre, Commonwealth Bank and Melbourne Casino. In 1985 I went back to Boral as a Supervisor and then Sales Manager remaining until 1990 when I left Boral and established Highrise. Highrise Building Services Pty Ltd has been supplying the Victorian Building Industry with Scaffolding, Gantries, Highly Skilled Labour, and various other services to the highest standard and we have become the number one choice in our trade and relied upon time and time again. Highrise Building Services Pty Ltd setup a separate division, Highrise Gantries Pty Ltd and began doing Heavy Duty Gantries for numerous construction companies such as Grocon, Baulderstone, Bovis Lend Lease, LU Simon, Multiplex, John Hollands, Becton, etc. With Our In-depth Knowledge and Experience spanning decades, Our Highrise Team can help you plan and complete your next Scaffold or Gantry Project. For any job, small or large, please don’t hesitate to call Myself or one of My Managers at any time.